One of your neighbors expresses to you that their roof is leaking and can’t find anyone to fix it for a reasonable rate. Having experience with roofing, you offer your services for a small fee. You complete the job, but weeks later your neighbor returns complaining that the issue has worsened and is demanding a refund. You decline, and your neighbor decides to take legal action against you. Situations like these occur often, and people who may have been offering their services in good faith end up facing charges for contracting without a license. If you find yourself in a similar situation, it is essential to acquire the legal services of a local criminal defense attorney. 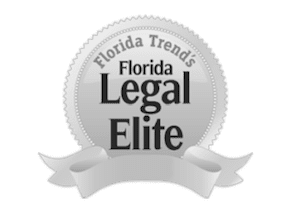 The Orlando criminal defense lawyers at The Umansky Law Firm have over 100 years of combined experience and are dedicated to representing the people of Greater Central Florida. Our team consists of former prosecutors at the state and local level who understand how the opposition will approach a criminal case. We can apply our insight to best prepare you for your day in court. Many “handymen” often pitch their services to those in need as a way to make money on the side, but doing so without the proper licensing is strictly prohibited. Certified Contractor’s License: Issued by the Florida Department of Business and Professional Regulation and permits contractor work throughout the state. Registered Contractor’s License: Issued by certain municipalities permitting contractor work within a specific jurisdiction. Unlicensed contractors who accept payment for work face severe criminal penalties. Contracting without a license in Florida can be either a misdemeanor or a felony. The associated penalties vary depending on the circumstances of the incident as well as the accused individual’s criminal history. If the individual claimed to be a licensed contractor and accepted payment for his services, he may face theft charges as well. Being convicted for contracting without a license can not only permanently tarnish your reputation but also result in multiple criminal charges. Be sure to have an attorney on your side you can trust. William Umansky of the Umansky Law Firm houses a team of diversely talented attorneys. Through careful analyzation of case specifics, he can pair you with the defense lawyer best for you. Don’t face a contracting without a license charge without legal representation. Contact us today at 407-228-3838 for a free case evaluation.